If you’ve heard of London-based salon Bleach London you’re probably most familiar with their collection of rainbow inspired non-permanent DIY hair dyes and crayons, with their with their rose gold and violet shades being the most popular among beauty bloggers and celebrities. They are at the forefront of the pastel hair revolution, however, their collection of affordable hair treatments also include a range of styling products now available at Boots. My hair dye of choice is the Schwarzkopf LIVE Colour 035 in Real Red. My natural hair colour is mousy brown and although I find it almost impossible to achieve a truly intense red shade from an at home colour kit, this is the brightest red permanent dye I could find on the highstreet. Although it claims to be permanent and fade resistant, every time I step into the shower red water circles the drain and the intensity quickly diminishes with every wash. I have to top up my colour every couple of weeks and because of this, my hair is getting more brittle and damaged. 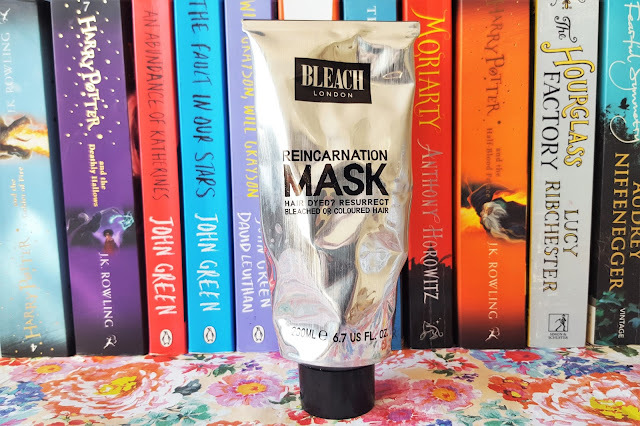 To help combat this, I picked up the Bleach London Reincarnation Mask (200ml/£6) to help resurrect my dull coloured hair and give it a much-needed boost of hydration. Once a week I simply apply the mask to my pre-shampooed hair, comb and massage through and leave for around 10-20 minutes. To enhance its super conditioning effect it’s recommended that you also wrap your hair in a warm towel while it gets to work, but I have to admit I’ve never done this. The mask contains sunflower seed extract and micro wheat proteins which help to reduce colour fade and improve elasticity. The formula is thick and creamy and is delicately scented with a slightly musky fragrance which isn’t over-powering. Basically, I adore this mask. It is incredibly moisturising and leaves my hair with a beautiful glossy finish. I’ve seen a significant improvement in the intensity of my colour and I can now go slightly longer without needing to top-up my red. My hair looks and feels a lot healthier and it doesn’t leave any heaviness or nasty residue. For only £6 you get a lot of product for your money as you only need around a 50p sized amount for it to work it’s wonders. If your hair isn’t coloured I would still recommend picking up a tube if your hair has been damaged through heated styling to help renew it’s strength and bring back life to those poor dye split ends. 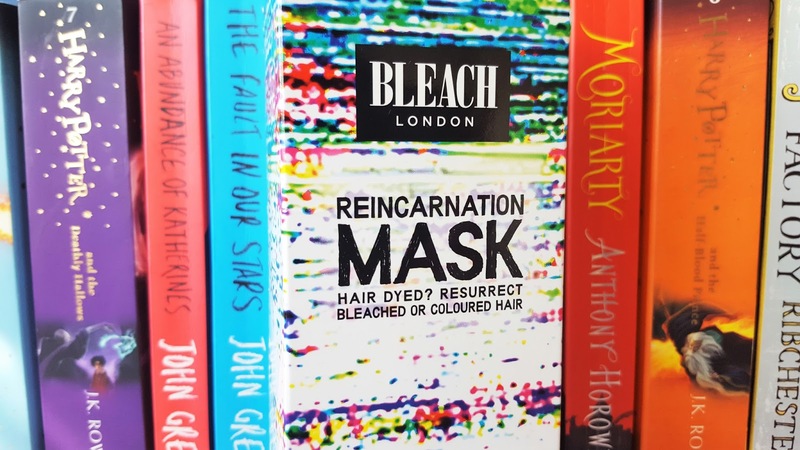 Have you tried the Bleach London Reincarnation Hair Mask? What’s your favourite at-home conditioning treatment? Don’t forget to enter my Jelly Belly giveaway! "HD High Definition Bronzer in 001 Light/Medium Review"
"Jelly Belly: The Original Gourmet Jelly Bean | Review & Giveaway"